For me, the great thing about the UK’s Man Booker Prize is that the announcement of the longlist each July brings unfamiliar books to my attention. Often, they have not yet been published in the U.S. Other times, they are books that have been flying below my radar (and, I suspect, many others’ radar). This year, my “discoveries” included Milkman by Anna Burns (the eventual winner) and Everything Under by Daisy Johnson. Both books sounded unorthodox and intriguing. As soon as Graywolf Press, the “little indie press that could” from Minneapolis, published Johnson’s book in late October, I bought a copy. At the same time, I pre-ordered Milkman, which was pushed up a few months to an early December release. Like my favorite novel of 2017, Home Fire, which was based on Sophocles’ Antigone (the concluding play in the Oedipus trilogy), Johnson’s first novel is inspired by the myth of Oedipus. While it follows the outline of Oedipus Rex, Everything Under subjects it to twists and inversions that are both very contemporary and as ancient as the great Greek epics. The result is an intense exploration of identity, both familial and gender, as well as an acid trip of storytelling inventiveness. 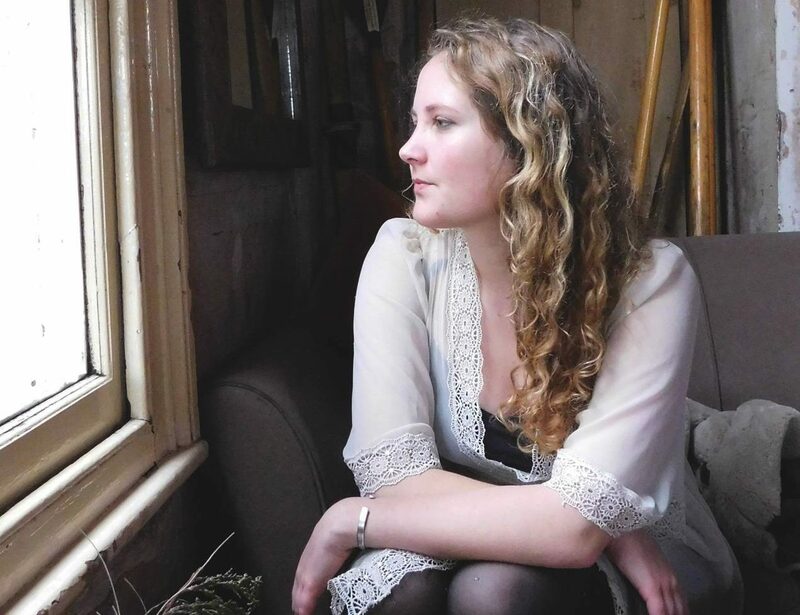 Gretel, a 26-year-old lexicographer, grew up on a houseboat on a canal near Oxford, England, with her anti-social free spirit mother, Sarah. She has been searching for her mother ever since Sarah abandoned her at 16. As the book begins, Gretel has found her at last and brought her back to her small cottage, hoping to rebuild their relationship and discover why her mother left and where she has been, literally and figuratively, in the intervening decade. But Sarah, now in her 60s, is not well, mentally or physically, and Gretel finds that achieving her objectives will be difficult, if not impossible. Johnson has structured her book around four rotating chapters: The Cottage (present), The River (life on the river), The Hunt (the decade-long search), and Sarah (the distant past). The frequent moving back and forth in time is disorienting, which mirrors Gretel’s experience in the past and present. The thread that ties everything together is the story of Margot, a teenager who has run away from her adoptive parents. She has known for a long time that she is a boy trapped in a girl’s body. When a charismatic neighbor warns her that she needs to leave her family if she is to avoid tragedy and heartbreak, Margot takes the opportunity to transform into Marcus. And a boy is much safer wandering the canals and back alleys. Eventually, Marcus encounters Sarah and young Gretel and is again adopted, this time into their eccentric and fiercely independent houseboat community. And all along, Gretel is obsessed with the Bonak, a monster that, according to Sarah, lives in the river, and means them ill. The Bonak’s ominous presence is palpable through the entire book. Knowing as we do the story of Oedipus, we wait for the inevitable tragedy. 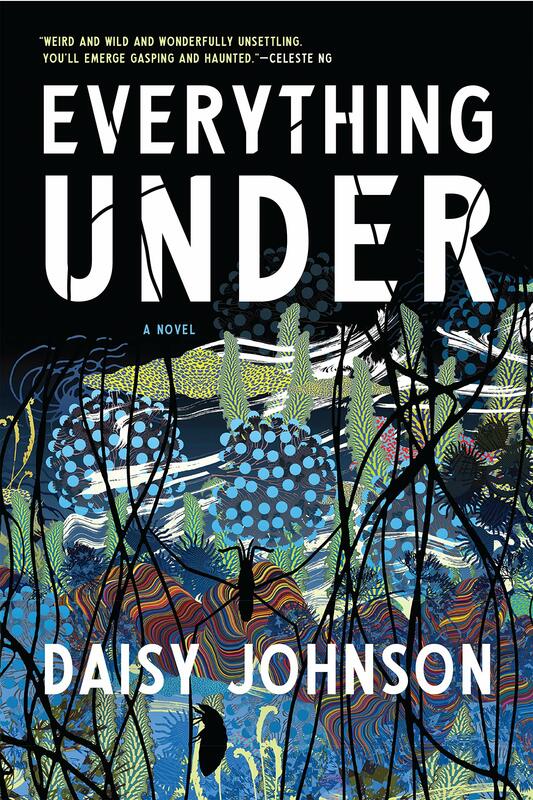 What makes Everything Under so spellbinding is Johnson’s reimagining of the tale and the power of her prose poetry. It often reads like a suspense novel, built around the question of how the horrifying sequence of events would play out. Everything Under is an unorthodox novel, and not for the faint of heart. While I occasionally felt as lost as the characters–and once or twice felt I was starting to drown in the currents of words— I was compelled to keep moving forward, drawn to the catharsis awaiting at the conclusion, and the knowledge to be gained from it. It’s a powerful and moving reading experience. Previous Just in time for Cyber Monday…it’s a 12-book giveaway!